After neighboring homes along the Guadalupe River received an evacuation alert in the early morning hours two weeks ago, officials say they are not taking any chances as another storm approaches. The Ross Creek in South San Jose is under a flood watch since the creek connect to the Guadalupe River. Damian Trujillo reports. As another storm approaches the Bay Area, a flood watch has been issued for areas along the Ross Creek in South San Jose Tuesday evening. 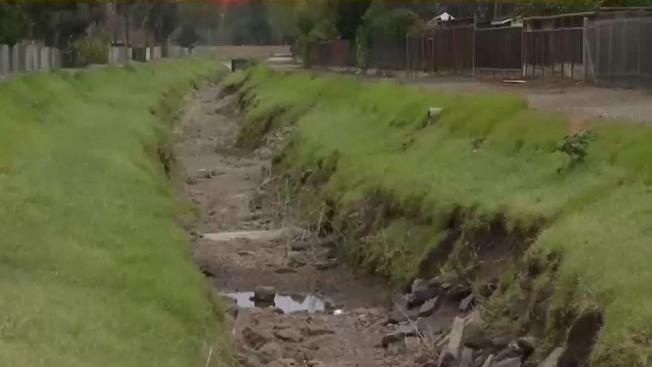 The city of San Jose sent out work crews to monitor the creek and take note of how much water the creek is accumulating every hour. "Because like in a day, it gets so high, it rages in a day or so, you never know," said Joanne Kinder, a San Jose resident. Two weeks ago, officials announced an evacuation in the early morning for the neighbouring homes along the Guadalupe River when levels got dangerously high. Officials said they did not want to take any chances this time around, which is why they issued a flash flood watch for the Ross Creek which connects to the Guadalupe River. "All of my neighbours got taken out of their homes by alerts and some of them were watching it rise throughout the night," Kinder said.